The Marlins cost $249 and come in multiple styles. This particular model, in a rich burgundy, looks like something that you’d wear to a Madison Avenue cocktail party after work. 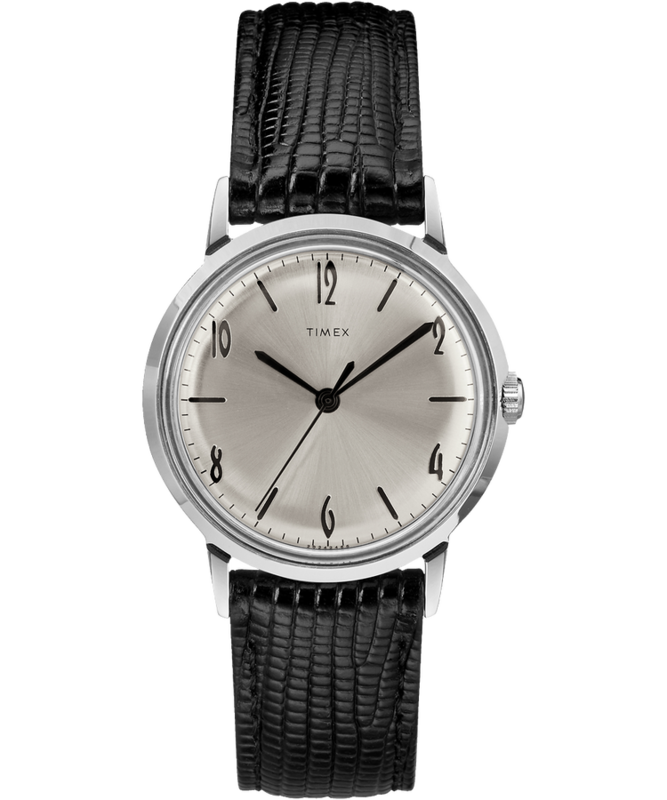 Timex has also released manual wind watches for $199 featuring a truly retro design and numerals. Timex has long been a drug store brand – a brand sold in those cases at big drug stores and aimed at impulse shoppers who needed a watch… any kind of watch. While their Indiglo line of bright, light-up quartz watches was a long-time hit, they really didn’t do much beyond making a few very basic pieces for a non-discerning audience. Now, however, the company clearly looked at its history and liked what it saw. 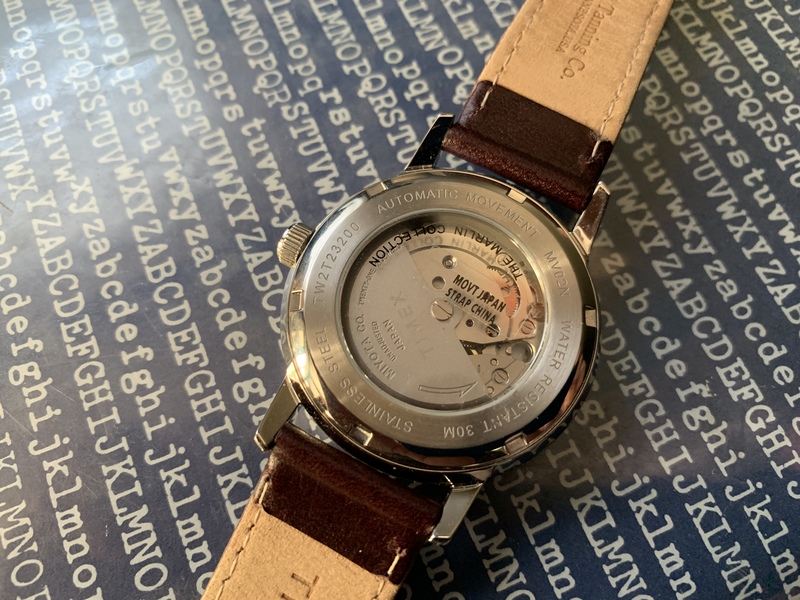 Timex was one of the first American watch brands to expand on a mass scale and they suffered greatly during the 1980 quartz crisis, a moment when the watch industry went from mechanical movements to electronic. Many watchmakers never recovered or are now a husk of their former glory – Hamilton, for example – but Timex kept at it. Now that they’ve given automatics and manual winds a try I’m excited to see where they go next. Many watchmakers have noticed that men and women are buying more and more retro watches to offset the creeping smartwatch flood. I’m glad to see the team at Timex is ready to take on this fascinating new world.